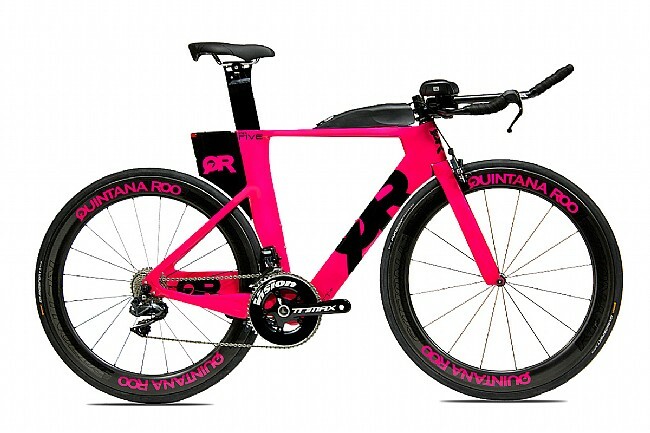 Winner of the 2016 Interbike Award for Triathlon Innovation of the Year, The Quintana Roo PRfive Ultegra Triathlon Bike represents all the best aero benefits of its cousin, the PRsix, but with its design moved to a standard front end, making it not only easier for the average triathlete to mechanically work on and travel with, but also making it more affordable. Handlebar: Profile Design O Zero. Seatpost: Quintana Roo Aero Carbon.